Crikey, I am so far behind with posting some of my cards. What a slacker ;). So as I play a little bit of catch up lets go way back.. at least a month and a half to Fathers Day. 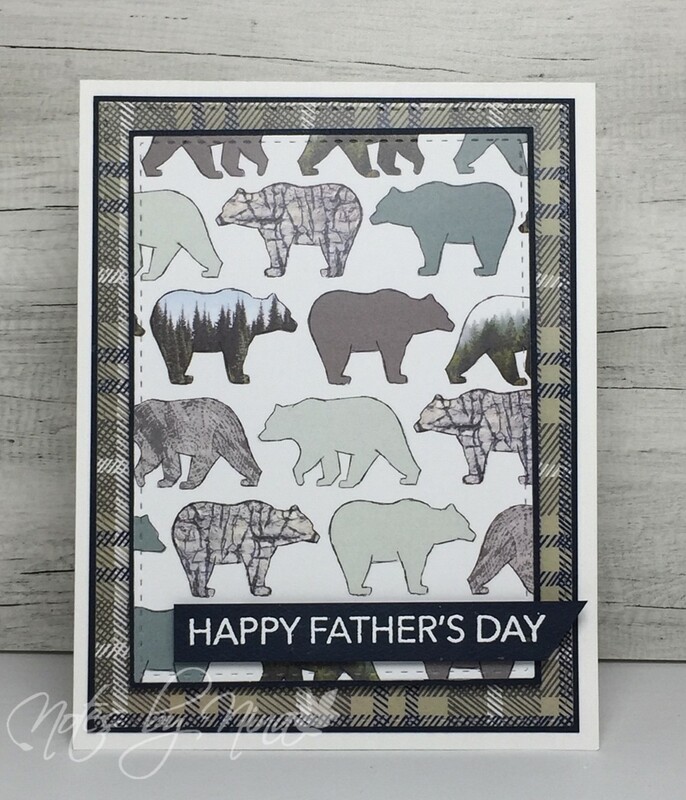 I found this fabulous Canadian company that produces some wonderful scrapbook papers that are perfect for my husband and friends. I created this quick card using simple layers that I die cut with stitched rectangles. I added a little foam tape to the heat embossed sentiment and it was done. 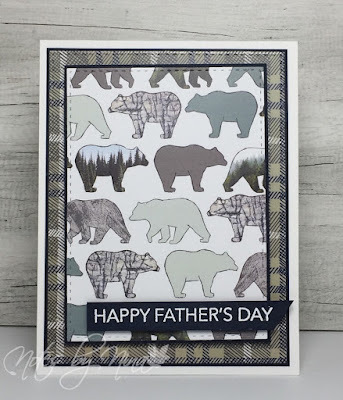 I did not want to add too much to the card and distract from the fantastic paper designs. 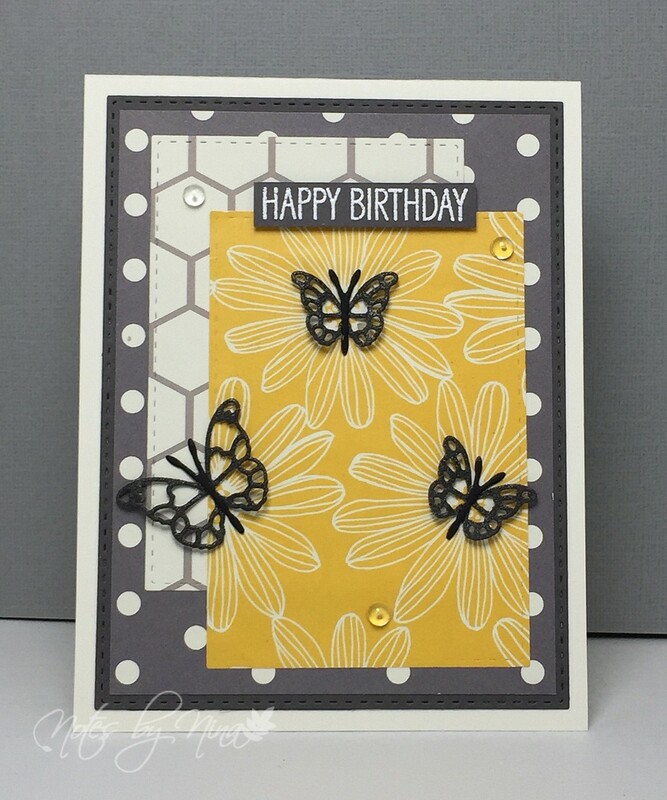 Supplies: White and black card stock, Designer Paper - Wild Whisper, Avery Elle - City Celebrations. I also found a company that can make photoboards to add some interest into the background of my card photos. So far I am quite happy :). This one is weather wood grain and the company is Posterjack. Happy Friday, I love that the weekend is just around the corner. Do you have some crafty time planned? I find it is hard to get into my craft room mid summer, all that sun shine outside just calls to me but I have a sun shiny card to share this morning. I used my stitched die cuts to get a panel from each side of this pretty paper. I die cut the flowers and separated them with foam tape. The sentiments are popped up with foam tape and I finished with some gems. 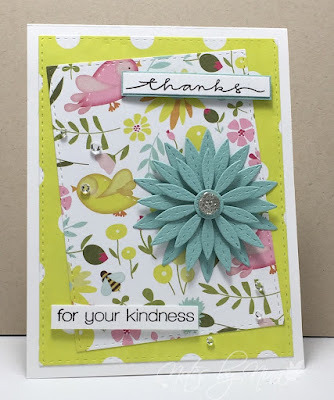 Supplies: White card stock, Designer Paper - Photoplay, Simon Says Stamps - Stamps and Die cuts, gems. 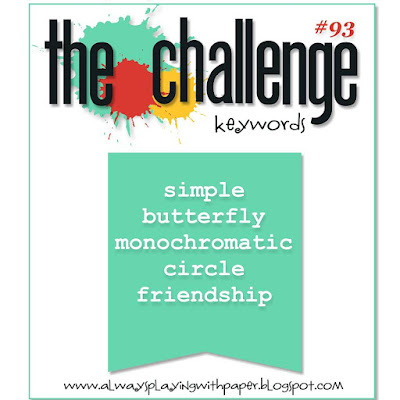 Good Morning and happy Thursday, we have a new challenge for The Challenge for you. Choose one or choose them all, the options are all yours. I chose a monochromatic look with grey and yellow. I also added in the some butterflies. I used quick layers, all die cut with stitched rectangles. I popped up the sentiment with foam tape then finished with some glassy dots. Supplies: Cream and gray cardstock, Designer Paper - Pebbles, Avery Elle-City Celebrations, Memory Box - Leavenworth Buterfly, gems. Come and play along with The Challenge, our Design Team has some wonderful inspiration created. I think this stamps set so cute, this card is for a niece who recently moved to my little neck of the woods. She is an avid knitter, so Llama tell you.. Ha, Love it! 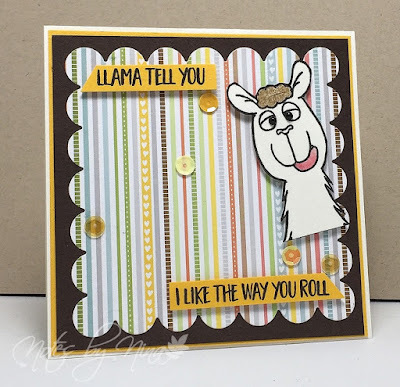 I stamped and fussy cut the llama and added just a wee bit of colour. I added some glossy accents to the little tuff of wool on the head then popped him up with some foam tape. The sentiments are also popped up with foam tape. I finished with some sequins. Supplies: White, brown and yellow card stock, Designer Paper - Unknown, Gerda Steiner Designs-Llama Tell You, sequins. Good Morning and happy Thursday. The weekend is almost here do you have some crafty time planned? 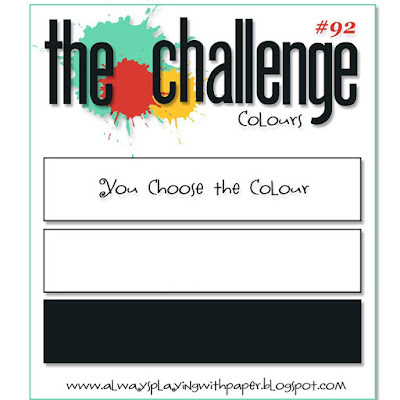 We have a new challenge this week for The Challenge, use black, white and a colour of your choice on your card. I chose to use blue as my third colour, my designer papers are a blend of white and blue. I added a thin blue layer to the panels and I stamped the sentiments in black. I finished with some white twine, the center panel and the sentiments are popped up with foam tape for added dimension. 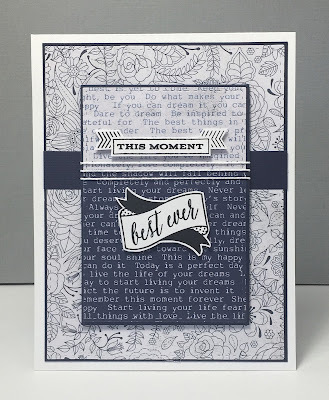 Supplies: White and blue cardstock, Designer Paper - Authentique, Close to my Heart-Life is Sweet, twine. Come and play along with The Challenge, our Design Team has some beautiful inspiration created.